The national quality policy focuses on quality of product (in which the SABS and many research institutions are active), quality or organisation (the area in which NPI and SABEF are active) and quality of life. This programme provides the fundamentals for the above which includes QWL (quality of work life) issues ) environmental, occupational health and other factors). Total quality management (TQM) is a strategic necessity. It can have a definite effect on savings on the input costs of an enterprise. This is why many companies believe that quality is “free”. Besides cost-route benefits, TQM also promotes many market-route benefits. Suitably trained personnel are a prerequisite, and in a pursuit of this objective, the Centre for Business Management has developed this TQM programme to provide training for those people in such enterprises and employees concerned with quality. The programme offers a comprehensive package that covers the full range of quality concepts. The dynamic nature of business management and the correlation between quality practices and corporate performance, require that the total spectrum of quality improvement concepts be covered. These concepts include SPC, TQC, QA, JIT, TPM, KAIZEN, QFD, and SABS ISO 900:2000, ISO 14000 and OHSAS 18000. The programme is endorsed by SASQ (South Africa Society for Quality) and supported by SAQI ( South African Quality Institute). A National Senior Certificate or equivalent qualification or succesful completion of the Unisa Course in Basics of TQM (Code: 7181-1). An Overview of TQM and the creation and maintenance of a quality culture. Developing the TQM system and the tools and techniques for the continuous improvement of quality. Students will be evaluated in each of the four modules by means of both assignments (formative assessment) and a formal written examination (summative assessment). For the purposes of the formative assessment, two assignments are set of which the student must complete one for self-assessment purposes (not to be handed in) and hand in the other (a compulsory assignment) before on or the due date. Self-assessment means that the student will compare his/her own answer with a recommended solution which will be provided once the student has completed the particular module. The compulsory assignments are formally assessed by the lecturer and/or his/her appointed external marker. Note: The compulsory assignment serves both to gain a student admission to the examination in the particular module (irrespective of the mark achieved) and also - importantly - to give a student the opportunity to obtain a year mark which will be used in the calculation of his/her final mark. In this twelve-month Programme in Production/Operations and Productivity Management, the year mark will comprise ten percent (10%) and the examination mark ninety percent (90%) of the final mark for each of the two modules. For the purposes of the summative assessment, one two-hour examination counting 70 marks must be written for each of the four modules. The examination will consist of both multiple-choice and essay-type questions. In order to pass the programme, a student must obtain a final pass mark of at least fifty percent (50%) in each of the two modules. Furthermore, a subminimum of forty-five percent (45%) has to be obtained in the examination in order to pass a particular module with a final mark of fifty percent (50%), given that the student was able to obtain a year mark of a hundred percent (100%). The examinations will be conducted at official Unisa examination centres throughout South Africa and at selected cities in other countries of Africa and the rest of the world. In the case of this programme, the examinations in each of the four modules will be written in January/February of the year following the initial registration. Should the need arise, one supplementary examination opportunity per module will be allowed and these examinations will be written in May/June of the year immediately following the year of initial registration. No year mark is applicable in the supplementary examinations and the minimum pass mark for the supplementary examination per module is 50%. Note: for all supplementary examinations, an additional examination fee of R110,00 per module (South African based students) is payable before the student will be allowed to write the examination. Students based in other African or overseas countries should enquire as to the exact amount of the above additional supplementary examination fee when necessary. 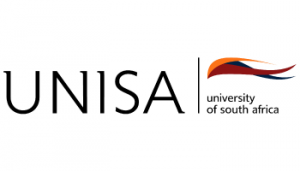 On successful completion of the four modules, students will be awarded a certificate in Total Quality Management (Code: 7183-8) by Unisa at an official certificate ceremony. English. Students may, however, submit their assignments and write the examinations in either English or Afrikaans. The Unisa “tried and tested” ODL method of tuition is followed in this course. The method is based on self-learning and uses a complete study package to impart knowledge and assist students to learn application skills in the particular field or discipline. The study package for each of the four modules comprises a study guide and a number of tutorial letters containing details of the assignments and feedback on the assignments. The feedback tutorial letters are despatched to students at intervals, such as after the completion of a particular module and before the examinations are written. The study package has therefore been specifically designed to make adult learning through distance teaching easier but still meaningful. No direct class contact is provided for, but students may contact the relevant lecturer in person, by e-mail, by telephone/facsimile (fax) if the need arises or if they would like any part of the course explained. However, in order to make the ODL method manageable, certain guidelines for contacting lecturers have been laid down (ie how to make an appointment to consult a lecturer, the office telephone contact hours, the preferred use of e-mail to seek clarity regarding an aspect contained in the study material, et cetera) and these will be communicated to students when they register. The advantages of the ODL method include the following: it makes it possible for a student to learn at his/her own pace and at any place in the world (greater flexibility); it is relatively inexpensive and affordable compared to residential universities or contact training providers (lower cost); and the study content is well documented in the study guides (high degree of dependability). Overall, the knowledge transfer and acquisition of application skills should have an important impact on a student’s working career and progress. The course therefore provides a meaningful learning experience by an internationally recognised tertiary distance education university (high quality experience). Complete a CBM (Centre for Business Management) registration form in full and clearly indicate the code of the course / programme you are registering for, including the relevant module codes. Remember to SIGN the declaration at the end. Return the completed CBM registration form together with certified copies of the first page of your identification document (ID) and senior certificate (matric or grade 12 certificate) either by post (CBM Registration Office, PO Box 392, Unisa, 0003, Attention: The Programme Leader, Programme in Production/Operations and Productivity Management) or by facsimile (fax) +27 12 429 4565 or +27 12 429 3890 or +27 0 866 82 9213 (fax-to-e-mail). Allow between 24 and 48 hours after faxing your application to elapse, after which time you ought to receive a notification from the CBM informing you of your provisional student number (also referred to as a “TP” number) and providing you with Unisa’s banking details (ie name of bank, account number, branch number, deposit reference to which you must add your recently allocated student number). You can then make direct electronic payments to Unisa. You may also use these account details to deposit a cheque if this is your preferred method of payment. Note: if you selected payment by credit card on your CBM registration form, the indicated amount will automatically be debited against the credit card number provided as per your instructions and authorisation. Should you not receive the said provisional student number and Unisa banking details after 48 hours have elapsed, please contact the registration manager for the course / programme urgently. He or she will advise you further on what avenues to follow to expedite your registration or possibly on what outstanding information you will need to submit to the registration office. As soon as payment has been received (by any of the payment methods indicated above), your student status becomes “active” and your study package (prescribed book if applicable, study guides and tutorial letters, et cetera ) will be despatched by normal registered post. Registration for this programme commences on 1 December and should be completed by 4 March. The programme commences on 4 March. Note: you must register for all four modules of the programme concurrently and partial or “split-up” registrations (ie registering for two modules in one academic year and the other two modules in the next academic year, for example) will not be permitted at all. Fee per candidate: The all inclusive fee (no VAT value added tax -is payable) per candidate is ZAR 7 560,00. This includes the whole study package (study material comprising a prescribed textbook, study guides; tutoral letters, et cetera), examination fees (however, excluding supplementary examination fees in the event of this being necessary). Full payment is required in order to become an "active" student and receive your whole study package. Only in exceptional cases and with the prior approval of the Programme Leader (ie confirmed purchase order from your employer or other special arrangement) can registration proceed without payment in full. For students who have already completed a course or module of which the Contents are similar to the that of PTQM04M and that was presented by an SAATCA (South African Auditors Training Certification Association) accredited course provider, an application may be submitted for credit and if approved, exemption from this module will be given. ln such cases the total fee for the programme will only be ZAR 5 670,00. Would You Like More Info on this UNISA Course? Leave your name and email address and we will get hold of you with more information on applying to UNISA.